As the whole world is celebrating this day as the 1st International Day of Yoga, on 21st of June 2015, AMAND, Pune also took part in it. About 50 yoga enthusiastic participants attended in the program. The program was conducted from 8:30 am to 11:30 noon at Ravi Park Co-operating Housing Society, Wanawadi, Pune. Ch Jayanta Singh, Gen. Secy. welcomed the gathering and gave emphasis on the importance of Yoga in one's life. Maj KY Singh (retd. ), President, AMAND felicitated the Yoga Instructor Shri Subodh Jaju and his assistant Asmit with a bouquet, shawl and a memento. Subodh Jaju enlightens the participants about the origin of Yoga and its importance in present day life. After the lecture, various asanas were performed under the able guidance of both the instructor. Dr Babita Sarangthem was chosen as the best yoga performer of the event and felicitated at the hands of the yoga instructor, Subodh Jaju. There was a fruitful interaction between the instructor and all the participants. 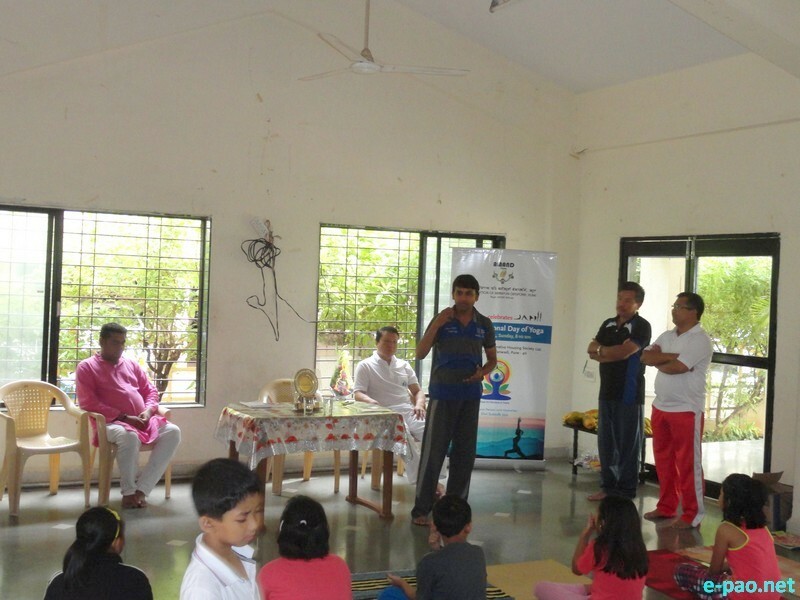 All the participants reaffirmed to perform yoga regularly with the same spirit and vigour. The event was concluded by vote of thanks from Ch Jayanta followed by light refreshment.